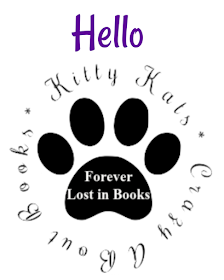 Hi my names KAT, I am a simple kiwi girl from New Zealand and I am a bookaholic!!! Since I was a little girl I fell deeply in love with reading, and as I've gotten older that has never changed. Other than reading and spending time with my partner I love the outdoors, from fishing, camping, horse riding to binge watching netflix but above all else my favourite pastime is devouring books. A self proclaimed cover hoe to spending time on goodreads adding to my TBR shelf. I love all books but romance is my drug of choice and I love everything from a good MC/FIGHTER reads to dark, sick and twisted grit filled reads. i am not a fan of paranormal/fantasy but otherwise I will give most things a try. I go into every book with an open mind, I understand and appreciate the amount of work an author puts into each book and love spreading the word about great books I find. I am an avid reader, a blogger, an author stalker!! You will never see me without my trusty bible my ipad, I live to read, read to love, when I'm not reading I'm obviously asleep.